When they need a plumber Linley Point residents call the experts: they call Plumber To The Rescue on 1800 620 227! For immediate service, on-time repairs and trusted workmanship, there’s no other option. It has to be Plumber To The Rescue! Trusted for over 30 years for licensed service and repairs you can count on, book now for on-time plumbers in Linley Point. We’re always close by, always ready to rescue you, and with fully stocked vans on the go 24/7, 365 days of the year, you can rely on us to get there when you need us. Don’t wait. Call the experts today for plumbing services Linley Point can rely on. Call now on 1800 620 227 – we repair what your husband “fixed”! Why Call Plumber Linley Point? When you need on-time repairs, you need our team. With GPS tracking on each of our vans, we cann find the closest technician to your location and get them on-site ASAP. This way, there’s no waiting around, and because we work with the most professional plumbers in Linley Point, you won’t be dealing with a tardy tradie. For over 30 years we’ve been trusted thanks to our famous 100% Peace of Mind guarantee. We stand by our workmanship, and will back it up – offering a lifetime of repairs on any guaranteed service or repair. We’re honest, too, with up-front quotes by the job. Because every job is different, we price by the works, not the hour, so you’ll only pay for what needs to get done and not the time it takes to do it. We take pride in our work, and with all our Linley Point plumbers getting weekly training to stay on the top of their game, we really are local experts. From start to finish of your job, we’ll be in clear communication, so you’ll never be wondering what’s happening with your repair. Call today: book with Plumber To The Rescue for the professional plumbers Linley Point deserves. Call now on 1800 620 227. We’re always close by, always ready to rescue you! Known for reliability and on-time service, there’s a reason people turn to Plumber To The Rescue when in need. We’ve been the trusted team for over 30 years, and with expert repair technicians available 24/7, we’re always there when you need us! Blocked drains? Call the plumbers Linley Point knows stock over 150 specialist tools in each of their vans. We’ve got everything we need to start work as soon as we’re on site, so we’re ready to work and clear any blockage. No job is too big or too small – and with a 100% workmanship Peace of Mind guarantee, you can relax knowing your works will be completed to the highest standard. For all plumbing repairs in Linley Point, book with a team you can trust to work hard and get the job done. Our team of professionals are always close by, always ready to rescue you! Whether you’ve got hot water problems, blocked drains, or even just a leaking tap, we’ll apply professionalism and punctual service to the problem and get your home installations back on track ASAP. There’s no more trusted team in Sydney. Known throughout the Lower North Shore as the most trusted plumbers in Linley Point, we repair what your husband “fixed”! Call now on 1800 620 227 for the team who can repair what your husband “fixed”! 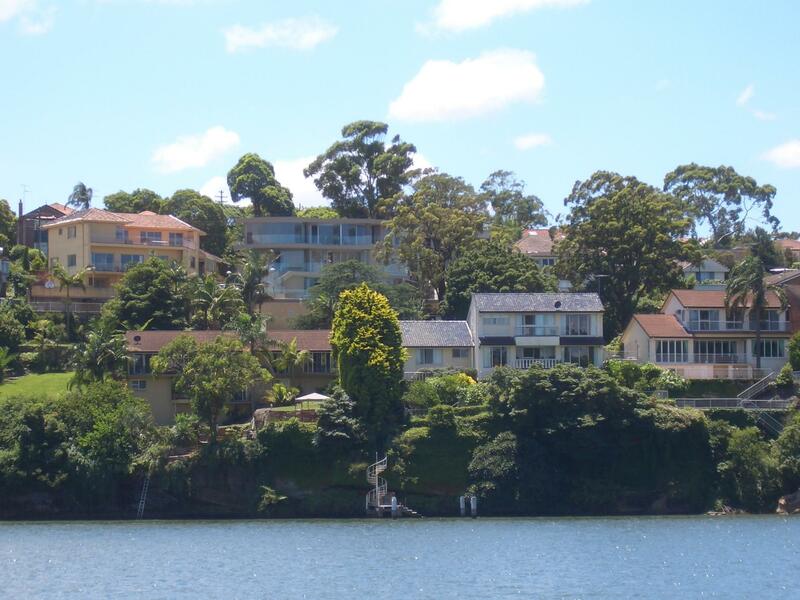 A tiny peninsula just across the water from Hunters Hill and Woolwich, Linley Point is surrounded by the Lane Cove River. A beautiful part of Sydney, the high elevation means many residents have views of the river and of Sydney CBD, with some even getting views of the harbour bridge. Small doesn’t really cover it: only 346 or so people call Linley Point home, but we’re ready to help all of them! With on-time service and reliable repairs, call the plumber Linley Point can trust today on 1800 620 227 for immediate help. We’re always close by, always ready to rescue you! There’s no other choice for plumbing services Linley Point. Call today on 1800 620 227 – we repair what your husband “fixed”!